It's been 20+ years since Twin Peaks went off the air, and for a lot of us it's a blurry haze of dwarves, log ladies, and endless memos to Diane. 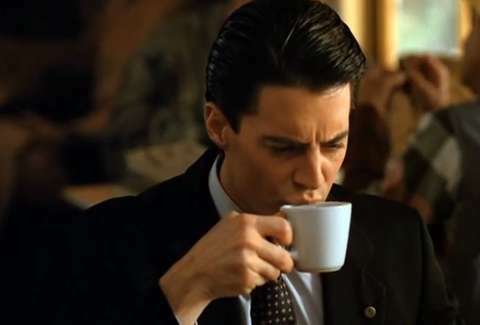 But one thing stands out: the many damn fine cups of coffee (and slices of cherry pie) Kyle MacLachlan consumed over his investigation. Some determined video editor spliced together ALL the references to coffee and pie in the show's history, so if you want to relive a bunch of weirdos' diner orders, you can catch it right here.